Hi there! 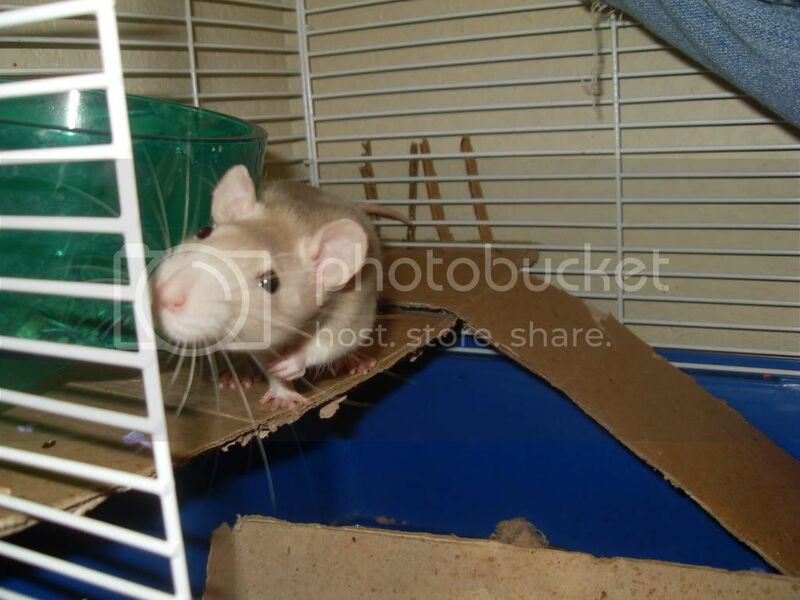 I'm posting here, seeking advice for a recent issue that I've come across with my rat. She chewed through the plastic bottom of her cage, and I'm now seeking the best option for her and myself as far as a new cage goes. First of all, my name's Erin and I live in the United States. I tried to find a reputable forum based in the States for rat owners, but I didn't come up with any results. If anyone knows of an active one, please let me know! Also, I've owned my rat for about 4 months now. I'm not sure why I thought that a plastic bottom was a good idea. I will say, however, that as small as the cage sounds and looks...it appeared to be enough space for her. I'm not a rat expert, though, and I understand that minimum measurements are set in place for a reason. Unfortunately, it's not within my budget to buy anything very, very grand. I also don't have enough room to put anything huge. 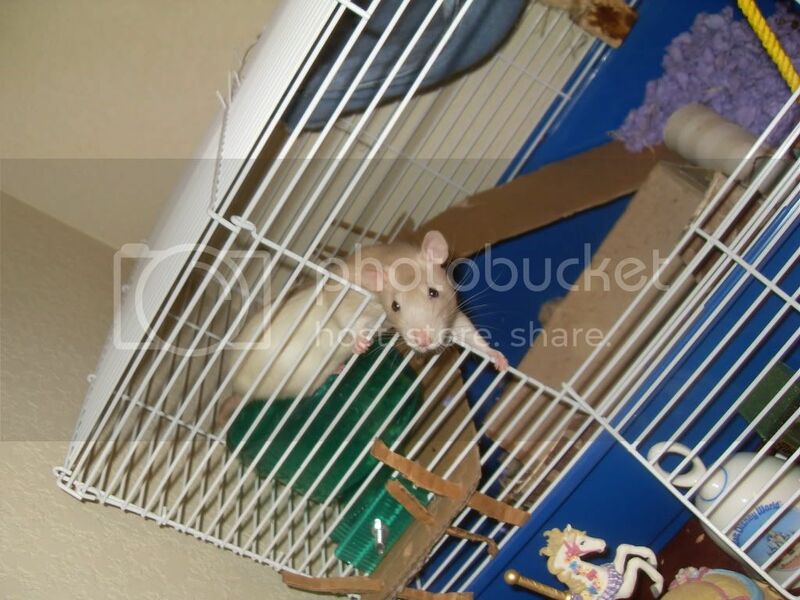 Does anyone have any suggestions on an affordable, good, adequate cage? I've been flailing to do research over the past couple of hours and have learned a great more than I knew before. In essence, I'm thinking that a powder-coated, wire cage with at least two layers (one set of ramps) with a metal bottom is what I should be shooting for: but are the smaller cages a completely terrible, bad idea? In the end, I only have so much space to work with on my dresser and literally have no room for a massive cage, on wheels or setting on any other piece of furniture. I would love any advice you may have to offer. If not a specific item, then specifications that I can try to search for! Thank you so much. Well I think I know part of the reason she chewed through her old cage, its completely unsuitable for rats and she is currently on her own. See here for reasons why you should really look for a companion for her. This is a cage calculator, for two rats you want a cage that has a maximum of 4 rats as we tend to knock 2 of it. Oh! I think Goosemoose is an American based rat forum and i've heard good things about it. Last edited by RetroLemons on Mon Aug 08, 2011 3:19 pm, edited 2 times in total. The dimensions listed on that link are tiny - if they are correct then I'm afraid that's far too small as a permanent home. Have a read of the article size matters for a guideline as to how much space rats need. I'm afraid I don't know what cages are available in the US, but you'll want one about 6-8 cubic feet as a minimum. If you find a cage you're interested in then pop the dimensions into the cage calculator and it'll give you an idea of the maximum number of rats that can be housed in it. You'll also want to find a friend or two for Templeton as she'll be very lonely without some ratty buddies to cuddle up to and play with. As the others have said that cage is way too small and she will be lonely on her own, so it's no big surprise that she would have chewed out of it. I would advise you to take it back to the shop to get a refund, even if they don't care about the cage size being too small they've sold you something claiming to be suitable for rats which clearly wasn't if she's chewed out of it so quickly. I mostly get cages second hand. They are often in almost new condition and generally less than half the price of new ones. I'm sorry I don't know what good cages are available in the US. Hopefully someone else will know. I think there's a US rat forum called something like Goosemoose? Here's the (( Link for the Goosemoose rat forum )) for you. Hopefully you'll find something suitable for your ratty - there should be lots of information on there for you. Welcome to the world of rats! Your life will never be the same again lol. Thank you so much for the warm welcomes and the advice! I'll be checking out that forum shortly! I really appreciate your friendliness despite the ignorance I've displayed in having a single rat in a cage that is too small for her. Thanks so much again, to all of you. The size obviously is the biggest issue here, as far as her specific cage problem goes, and I'm sure she's a bit bored in there by herself as well. I'll be buying the most expensive one that I can afford, as I know she'd be significantly happier in it. If anyone else comes across reading this, could you give me a quick idea as to how hard it would be to introduce a new rat to Templeton? The procedure for introducing a new gerbil to another was fairly intense (having to use split-cages, and there was a fight between them at one point; yet they were also male.) Templeton is female. After much research tonight, I’ve found several options that I think may be suitable, but I’ve love some feedback. For those interested, I browsed around on Goosemoose and found some great information, but I wasn't able to register for a new account (which I'll investigate later) so I decided to come back here to ask a couple more questions. I also forgot to mention that I plan to take the cage back to try to get a refund. If that doesn't work, I'll be going through the manufacturer. In the end, I'm extremely displeased with how the actual store set me up as a brand new rat owner. I'm very grateful that I'm responsible and able enough to fix the problem! Anyway, I doubt that the corporate level of Petsmart or of the manufacturer of the cage will care a great deal about my woes, but I'm going to do everything I can to make sure they hear my complaints at least. First of all, I posted in quite a bit of haste the other day, after working a long shift at work, so I wanted to include the requirements that I must have for whatever cage I choose. All of the general specifics (type of wire, size and space of the wire) are ones I’ve taken into account upon looking at each option, but please let me know if you’ve noticed that I’ve missed something vital. This is the only reason why I’ve decided to not choose a Martin’s Cage. They seem to be widely liked, but I can’t pick one that’s a huge hassle to clean. I'm honestly looking for something that has a top that has latches so that it can be completely removed, so the bottom pan area can be cleaned easily. Is a cage with a larger width and smaller length a bad option, as long as the area of the cage meet the requirements of the rat calculator? I'm honestly not sure which the dear little ratties prefer. I believe that either cage would be well suited, and the first one is actually more cost efficient. The only issue I have is that I’m uncertain as to how good of a product they might be (if they’re poorly or cheaply made.) Do either of them look like bad options? Is there anything negative about the latches on the bottom? A lot of the cages I've seen that people prefer are either too large to have something like that, or are smaller but have nothing like it. I thank you so much again for all the help so far, and for any further advice you can give! The only criticism I have to offer here are the shelves and ladders. Rats do not do very well on wire/mesh flooring, as they can get their little feet stuck and injure themselves, and it's also been linked to bumblefoot (very painful swelling on foot). You could buy plastic to go over the top, though, and remove the ladders to replace with ropes/hammocks. I don't know what other cages there are unfortunately, so can't recommend one, but I'm sure someone will be along to help. On your intro question, the easiest thing would be to buy two baby girls as adults to babies is always the easiest. There is an excellent guide to carrier intros on here, that should help you out. Hmmmmm..... can't say I particularly like either of those cages tbh. I've kept rats for a long time now (with a couple of 'rat breaks') and I've had far too many cages lol. 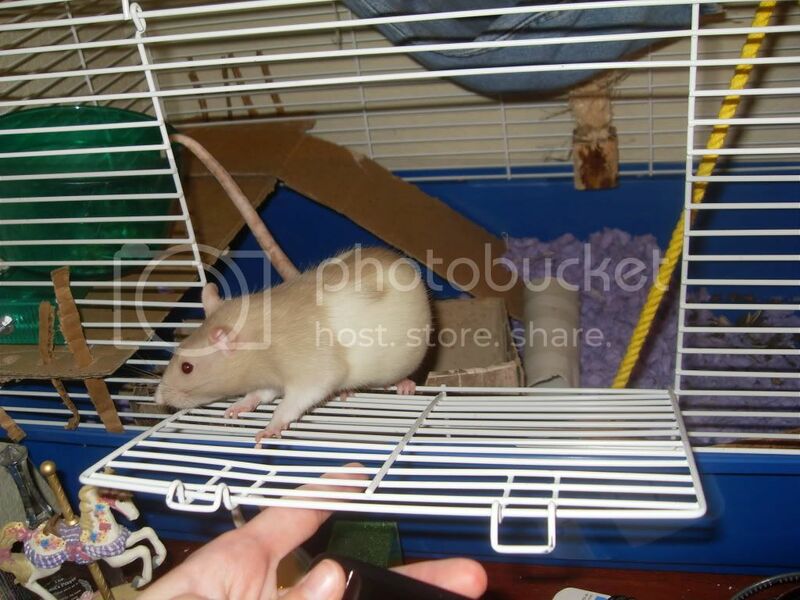 My first piece of advice is to view getting your decent rat cage as a long-term investment. From experience I can tell you that it's a lot cheaper to get a really decent cage first time round than get a cheaper one that drives you mad and needs replacing in a few months time. And oh yes I've done it myself! I'd advise telling Pets Mart the cage sold was (and this a great phrase!) "not fit for purpose" as having gone home and done your research you have discovered the cage is not suitable for rats and should never have been sold as such. Also perhaps mention to them that you are "disappointed" that you were sold a lone rat when, again, having done further research you have found out that rats are very sociable animals that need companionship from other rats and should not ever be sold alone. Regarding the cages you have linked to - both have very shallow trays which you'll find annoying when substrate goes all over the place. Both seem overall pretty small to me but I'd have to get my tape-measure out and physically look at the dimensions to see what they are really like. Access doesn't look great on either of them and believe me - if a cage doesn't have good access you will live to regret it lol. The second cage is just ugh. Those shelves are awful. Whilst barred shelves *do not* cause bumblefoot (this is an old myth that has long since been disproved) those shelves could certainly do damage to feet as they are just horrid. It would be horrendous to clean too which is a more practical point for you to consider. I will go away and see what I can dig up for you bearing in mind you are in the US! Don't forget ebay by the way - lots of bargains to be had on there! 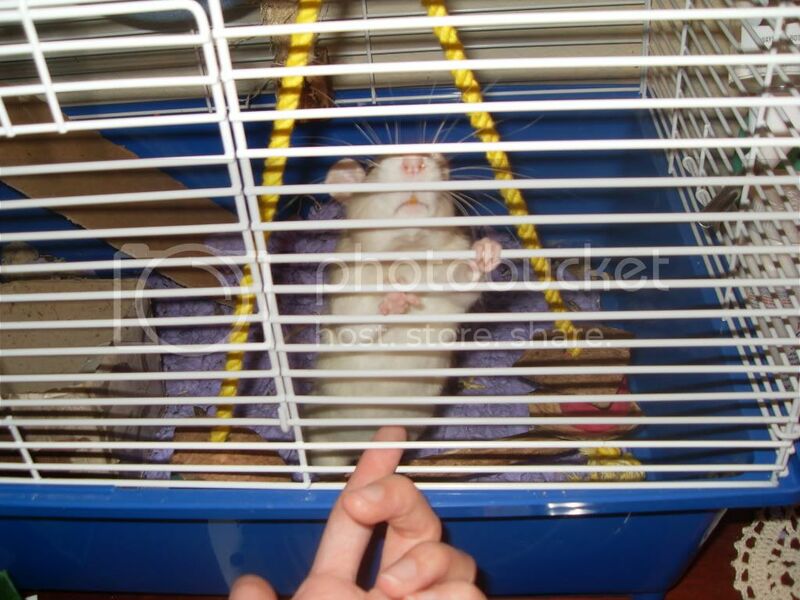 Well I've actually found a thread on the (( Rat Manor )) which actually makes it sound not bad as 'starter' cage. Though it sounds as though it has a few negative points. However as you'll notice in that picture they have covered up the shelves so you'd have to be prepared to do that. Or make your own shelves / add your own shelves. I don't know what shelves you can get in the US but here you can buy (( Ferplast Corner Shelves )) which many of us over here use in an assortment of cages. ETA: Have you looked at (( Martins Cages ))? The Rat Skyscraper doesn't look too bad? Maybe more than you'd like to pay though. Last edited by Hanlou on Tue Aug 09, 2011 6:59 pm, edited 1 time in total. Hi there..I`ve just been reading through all this and I agree with Hanlou. 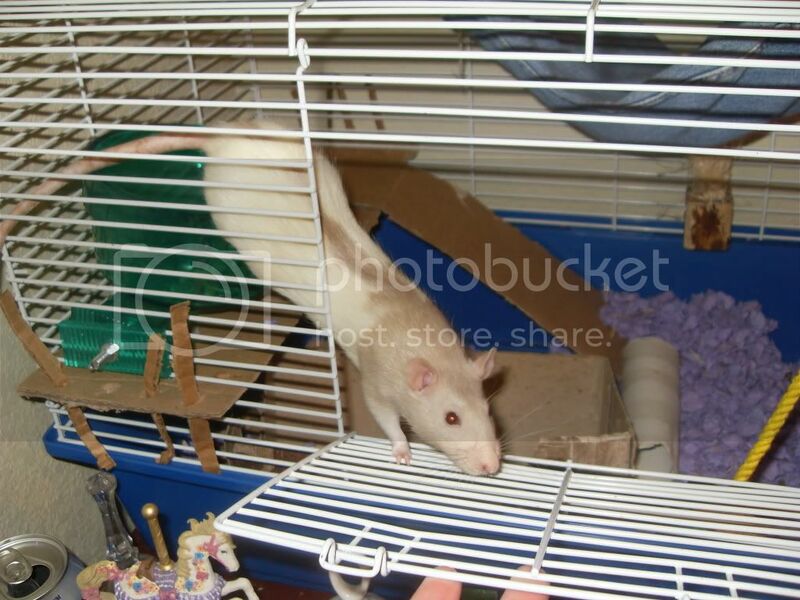 I`ve had rats for years too with more than a few cages but haven`t made any drastic mistakes , thank goodness ! Looking on the same site...what about something like this ? It is at sale price. 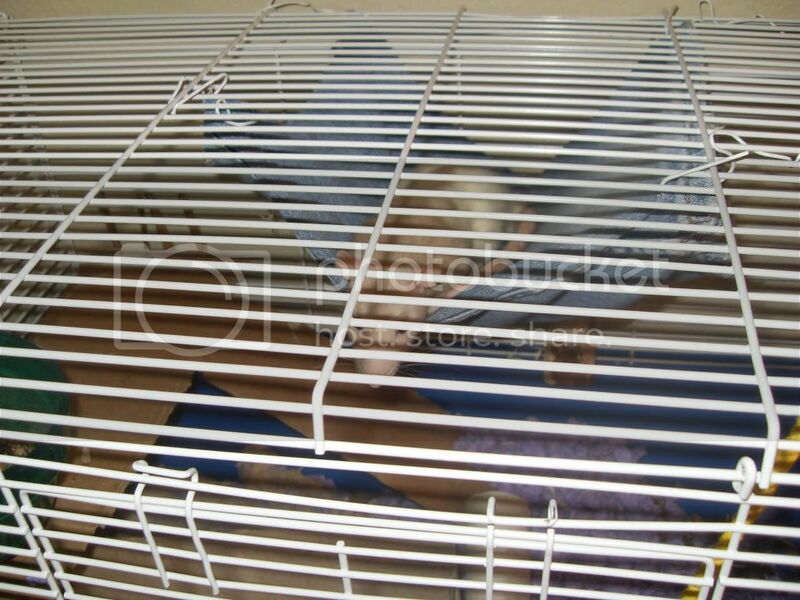 Have a browse through the Ferret cages and chinchilla cages and see what you like . The cage I mention has bar spacing of just under an inch so no good for babies but adults should be fine. It is a nice size for a group if you decide to give Templeton some friends. A nice group of four would like it in there. It is always difficult choosing a cage as nothing is perfect. There are the Critter type cages which I personally quite like but they aren`t everyone`s cup of tea. They are safe though, all metal amd fold away if wanted.